before he swam off back home !!! Black Swans surfing in Australia? 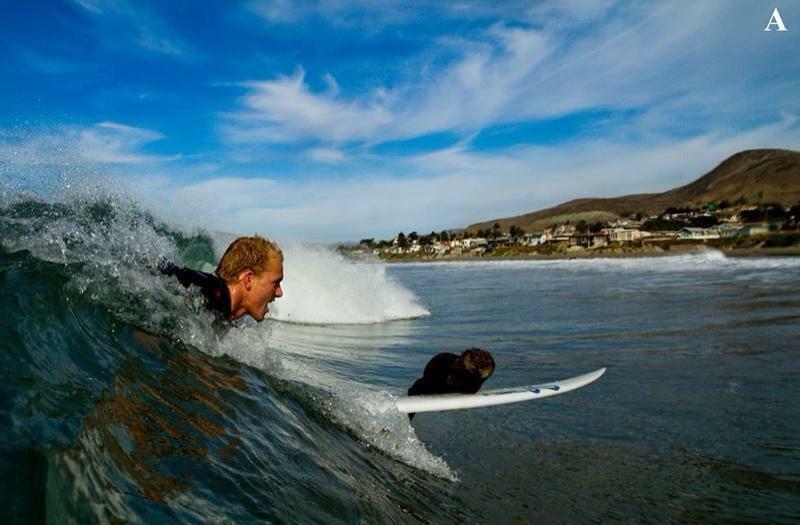 Since people are having so much fun surfing with the canine best friends, owners of other animals have decided to give it a try. Here's a slide show of some different animals around the world that are giving it a try. 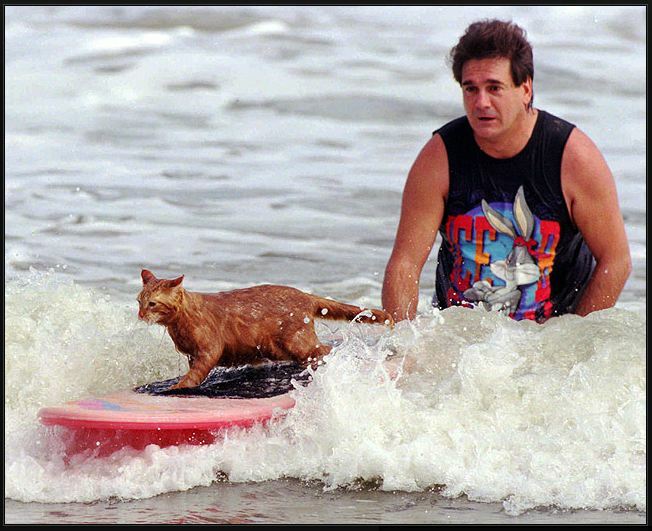 Below you will find more stories of surfing animals we've found from around the world. Dana McGregor and his Goat Goatee have been surfing to raise awareness and monies to get goats to families in third world countries who need them. 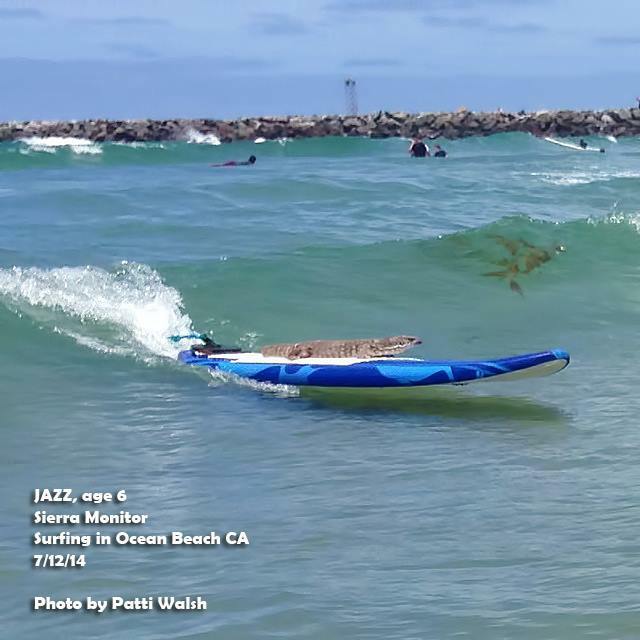 Click on Goatee's photo to go to his Facebook Page to see more photos and videos of Goatee surfing.